“This coveted box is full of chic essentials for the most stylish lady. The modern leopard print notebook is perfect as a stylish journal, for creative notes or daily list making. The gloriously scented candle is in a reusable pot which would be an elegant addition to her dressing table alongside the handy brass trinket dish. Fine milk chocolate finishes off this chic gift.” This is a crowd pleaser for so many occasions. This is just one of our range of wonderful gifts. With TwinkleBoxCo gifting couldn't be easier. 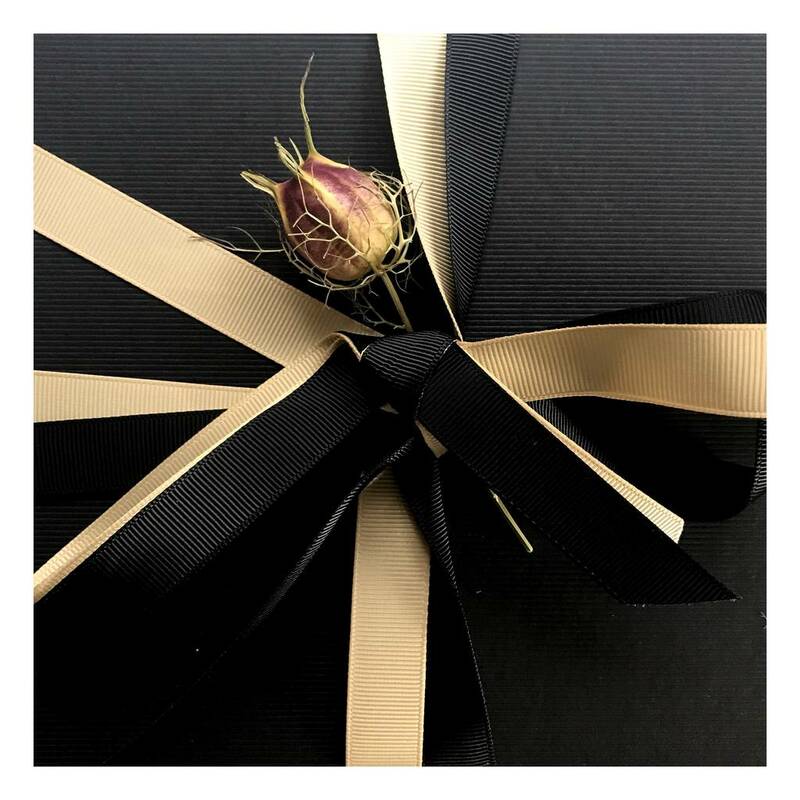 You place your order - we beautifully wrap your chosen giftbox and send direct to the recipient if you request. 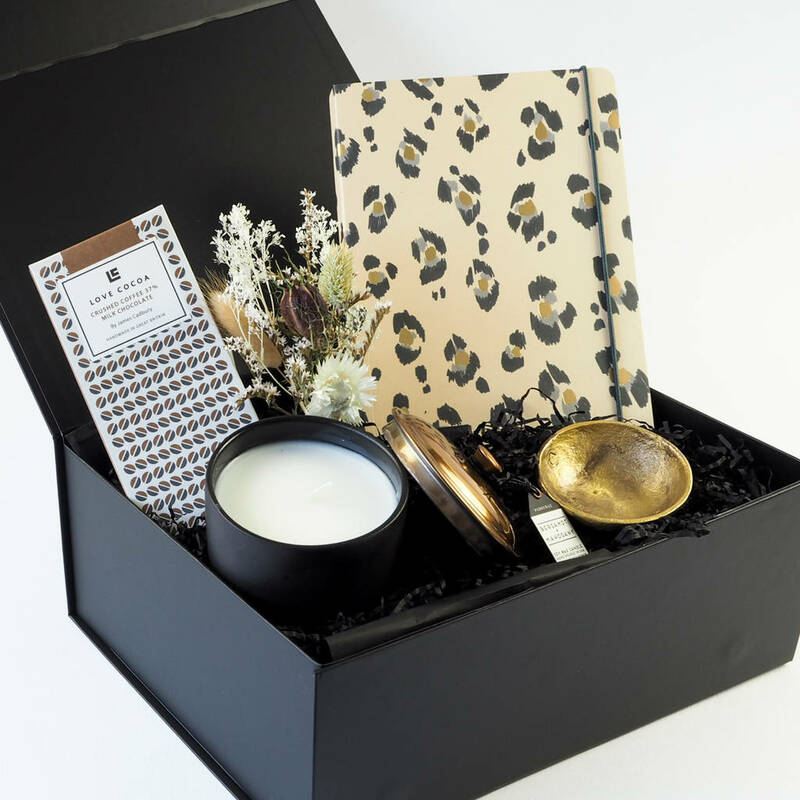 Check out our other beautifully curated gift boxes. All our of gifts come perfectly presented in a high quality magnetic closing rigid box. Appropriate foliage/floral posies will be used on both the internal packaging and alongside the grosgrain ribbon on the outside. 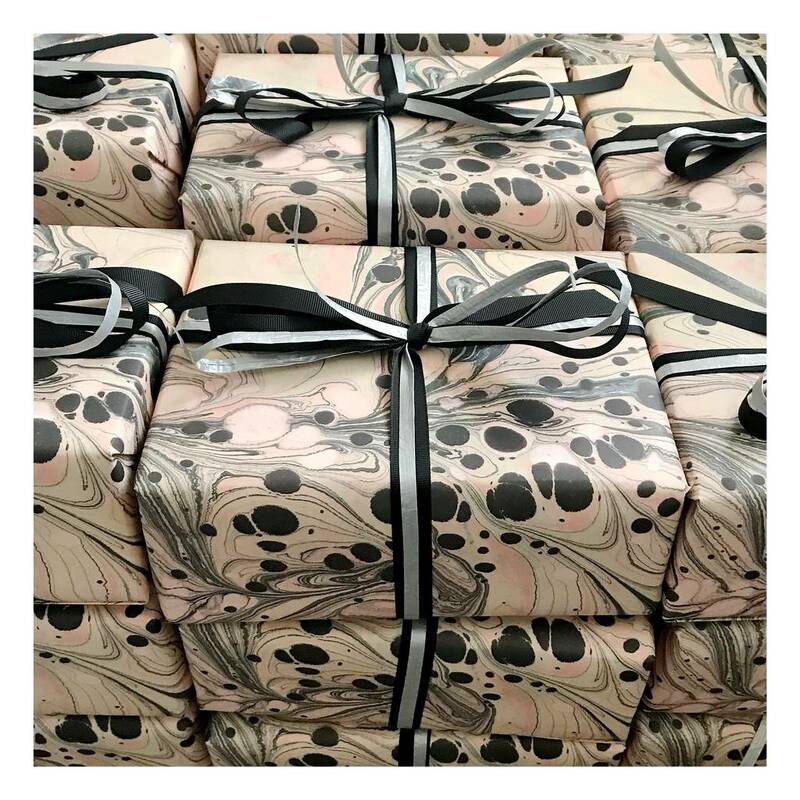 Each box is prepared and styled by hand by talented gift stylists and giftwrap is available at an additional charge. 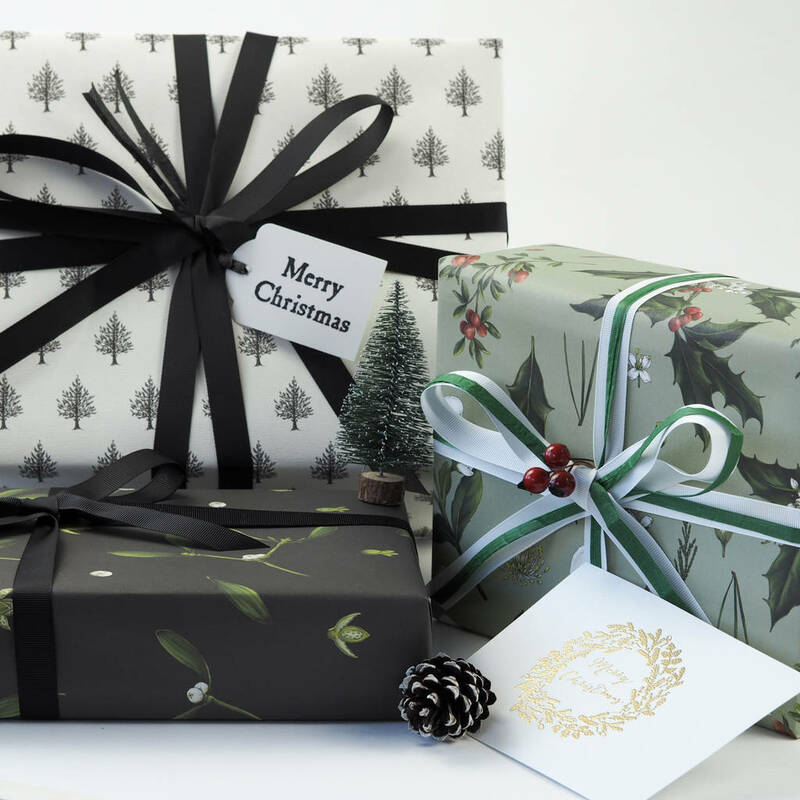 Foliage, wrap and ribbons may be subject to change and not be exactly as pictured. All our of gift notecards are gold foil unless requested otherwise. We will handwrite a message for you at no additional charge.